February’s been something of a quiet month when it comes to major hardware releases, with the sedate launch of AMD’s AM3 CPUs the only real announcement of note. However, there have still been some interesting twists on established products which have caught our eye over the last 28 days, with some big improvements on offer in comparison to their originals. The Antec 902 has especially impressed us with its excellent build quality, value and performance, as has Sapphire’s VaporX cooled HD 4870 1GB which delivered the best air cooled overclock we’ve ever achieved with a 4870. Even in our Core i7 heatsink roundup, we found that refreshed versions of proven coolers still came out on top, although the Akasa Nero showed that there’s still plenty of room to shake up the market. While these refined and improved versions of older products are proving to be of the highest quality, it’s the excitement and fascination of genuinely new products we crave. We’ll hopefully receive this with the opening of the CeBIT trade show in Hanover this week as we’ll be covering the show taking look at the most interesting in new enthusiast products. So, February might not have been a big month for new hardware releases, but it’s certainly been a big one for bit-tech itself, with the move from our remote offices in Ascot to our new headquarters here at Dennis Publishing in Central London. Moving here has also bought with it a fresh supply of editorial talent courtesy of the team at CustomPC, so you can expect more content from them soon. With a bigger editorial team we’ve now got an ever larger resource from which to draw hardware recommendations and advice for our monthly buyer’s guide, which continues to go from strength to strength. There are plenty of changes this month, with prices for ATI’s line of Radeon HD 4800 cards dipping following rumours of an impending die-shrink/manufacturing optimisation and a lot of our older recommendations cleared out in place of shiny new arrivals. As always, all the recommendations made in the guide are based entirely on either our personal experiences with hardware or our own reviews (both those of bit-tech and CustomPC) and occasionally positive feedback and suggestions we receive from our ever growing community. With such a huge amount of experience and product knowledge behind our recommendations, you can rest assured product listed will be a quality choice. 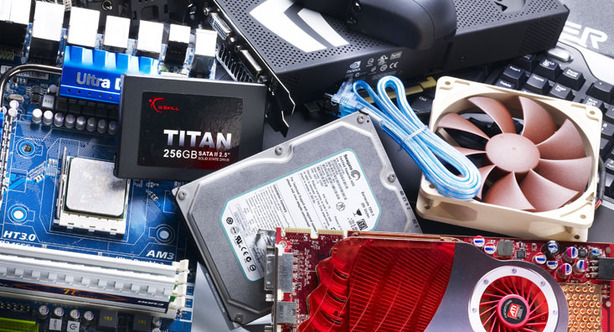 We really do take our buyer's guide seriously here at bit-tech, and will continually update it on a monthly basis, with up-to-date pricing and selections – a necessity when you factor in the ever fluctuating prices that make the enthusiast hardware market so volatile. However, do bear in mind that prices are fluid and while we do our best to find the very best prices for individual components, prices and availability can change at any time. We’ll also be continually expanding the guide and will continue to include additional ranges of recommended hardware as time goes on - we've already introduced a quarterly Home Theatre PC buyer's guide in response to a growing number of requests. The feedback you provide in the forums is invaluable, so don't forget to let us know what you think again this month!